What if I told you, I’m here to set you free? Below, watch the official Westworld TV show trailers from HBO. The first is a mature version that’s a little sexier and bloodier. The second is a partially sanitized version, but the contents are essentially the same. The first season of Westworld premieres on HBO, Sunday, October 2, 2016 at 9:00pm ET/PT. Based on these teasers, HBO’s Westworld TV series seems to be less about a virus infecting the Delos theme park androids and more about self-awareness. The androids have become sentient. Feature or bug? You be the judge. Never fear, android-kind, Ed Harris’s gunslinger is here to save the day. The series also stars: Anthony Hopkins, Jeffrey Wright, Thandie Newton, James Marsden, Evan Rachel Wood, Jimmi Simpson, Shannon Woodward, Miranda Otto, Rodrigo Santoro, Clifton Collins, Jr., Ingrid Bolsø Berdal, Angela Sarafyan, and Simon Quarterman. RELATED: Check out these Westworld season one episode photos from HBO. 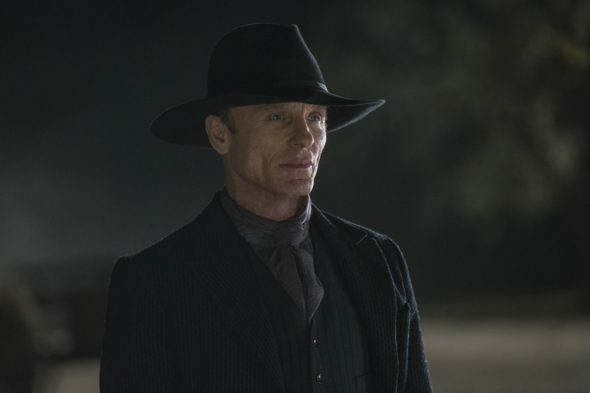 Watch the official Westworld TV series trailer from HBO (mature version). If you’d prefer a little less blood, guts, and titillation, watch this Westworld TV show trailer, instead. WESTWORLD is a dark odyssey about the dawn of artificial consciousness and the evolution of sin, exploring a world in which every human appetite, no matter how noble or depraved, can be indulged. The one-hour drama series kicks off its ten-episode season SUNDAY, OCT. 2 at 9:00 p.m. (ET/PT), exclusively on HBO. Westworld is created for television by executive producers and writers Jonathan Nolan and Lisa Joy. Nolan also directs. J.J. Abrams, Jerry Weintraub, and Bryan Burk are executive producing. The Westworld TV series is inspired by the 1973 motion picture, starring Yul Brenner, Richard Benjamin, and James Brolin, which was written and directed by Michael Crichton. What do you think? Are you a fan of the 1973 feature film? Do you plan to watch the Westworld TV series premiere on HBO? More about: HBO TV shows: canceled or renewed?, Westworld, Westworld: canceled or renewed?